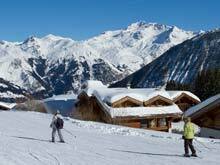 Even before you reach Méribel, I can offer advice on ski/boot hire, equipment suppliers in resort, best type of lift pass (there are quite a number of options which can prove confusing), clothing and how to arrange childcare in resort. When I start my lessons with you, I offer very patient instruction to put you at your ease with simple and easy to understand progression. I’ll help keep you safe, have fun and progress. 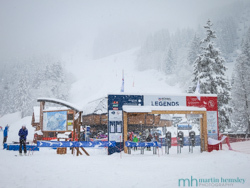 I choose the most appropriate ski slope areas to help build your ski confidence. First of all, I chat to you to find out why you feel nervous on the slopes. There are many, very understandable, reasons for feeling this way - overwhelming peer pressure, skiing on inappropriate pistes, weather and snow conditions, confusion of ski technique or a previous injury. In my experience, many novice skiers share these nervous feelings; my job is to help you overcome them. I’ll devise an action plan specifically for you with realistic, achievable goals. 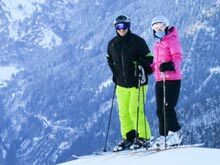 My aim as an instructor is to help keep you safe, increase your confidence, improve your ski performance and get you to a stage where you want to come back on another ski holiday. As a blue piste cruiser, you are generally happy with your performance and enjoy yourself when the pistes are in good condition and the weather is fine. When the going gets tougher, your confidence drops and your technique and control suffers. Sound familiar?….then read on! I look at your skiing to pinpoint why your performance changes when conditions change. I then work on specific techniques to develop your skills which allows your confidence to grow and takes you to the next level. Red piste whizzers are similar to blue piste cruisers, except you have more confidence to try the steeper pistes because your technique is generally better. As an instructor, I’ll work with you to consolidate your technique and identify areas for development. Through a tailored programme of exercises designed to hone your skills in a more precise manner, I’ll help take you to the next level of skiing. 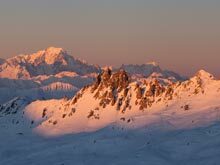 For black piste junkies, I offer you my extensive knowledge of the Méribel and 3 Vallées ski area and take you to these specific pistes in a safe manner. I check your performance and make suggestions before entering into this more dangerous environment. I introduce you to other skills including skiing in variable conditions - tricky snow and terrain - and even skiing down mogul fields. 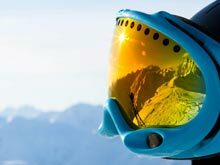 I review your ski technique with you then practice how to choose and adapt your skills appropriately in different situations. Similar to our black piste junkies' approach, but I concentrate on skiing more off piste than on piste, in mogul fields and on steep pitches, for example, couloirs. 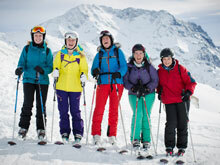 The emphasis is on safety, your ski ability and technique, plus mountain conditions and risk assessment. Safety training can be delivered including avalanche beeps search. The areas skied will depend on conditions - I try to find the best snow possible.